I sold my car with an automatic transmission and purchased a truck with a manual five speed transmission. It has been several years since I drove a manual shift truck. It brought back good memories. I remember “back in the day” when I was learning to drive a car, the transition from “standard” to “automatic” was a big change. 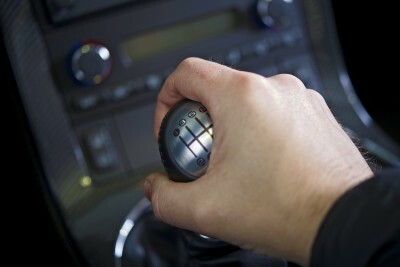 Most of us learned to use the clutch and shift as part of driving. The challenge of starting the vehicle rolling forward while stopped on a hill involved a developed skill of using two feet to operate three critical components, the clutch, the brake and the accelerator. Sometimes I would hear of someone who cheated and put on the emergency brake to hold them while they disengaged the clutch and pushed in on the accelerator instead of the artful placing on your left foot on both the clutch and brake while your right foot “gave it gas”, as we would say. These descriptions may bring back memories and stories from your past as you drove, tried to drive , or rode with someone in a manual shift vehicle. Times have changed with the easier automatic transmission cars. Put it in Drive and go. There are many advantages to not having to clutch and shift. Stop-and-go traffic and a sore left leg are just a couple that come to mind. But let me mention an advantage that I noticed as I returned to the shifty world of a manual five speed pickup truck. When you are listening to the RPMs of the engine or watching the tachometer, you are focusing more on what is happening to the vehicle. As you engage the gears you are engaged with the rhythm of the engine, you are aware of the road, the straight-a-ways, the curves, the hills and dales. Being attentive to your driving is important. When someone isn’t we usually hear the grim details on the news. Texting, eating, putting on make-up, drinking a beverage, changing the station on the radio, talking on the phone (with or without ear pieces), etc. all take our minds away from the reality and danger of the hurling massive bubble we are traveling in. My clutch awareness has helped me to concentrate more on what I am doing; driving. I am safer on the road to myself, my passengers and others. It is a lesson that can be applied to life in general too. Are you doing things in life that have become automatic and never cross your mind much? It is easy to take those things for granted. It is dangerous to not be mindful and aware of what we are doing. In our busy, faster and faster world, may I suggest you put a clutch into your life. Find a way to disengage the hard-driving and shift gears sometimes yourself. You could find more control and appreciation come with it.